Hey, we are: Sara, Sarah, Stevie, Dina, Iman, Lisa,Gabby. Walked into the session today so excited, to finish watching that loverboy film. As last week we kept on stopping and discussing, we hoped to just watch it all the way through and discuss in the end. We starting liking the film and just wanting to see what the girl will do at the end. Claire realised she did not have the DVD, this upset all of us and we said we can help look for it online. Gabby suggested this website where you can watch film for free, but the film was not on the website. Claire came up with and idea of watching the music video of the theme song from the film ‘My Dangerous Loverboy’. We watched ‘My Dangerous Lover Boy’ music video, and had a discussion around what was happening in the video and how we could take from that video to create our own. 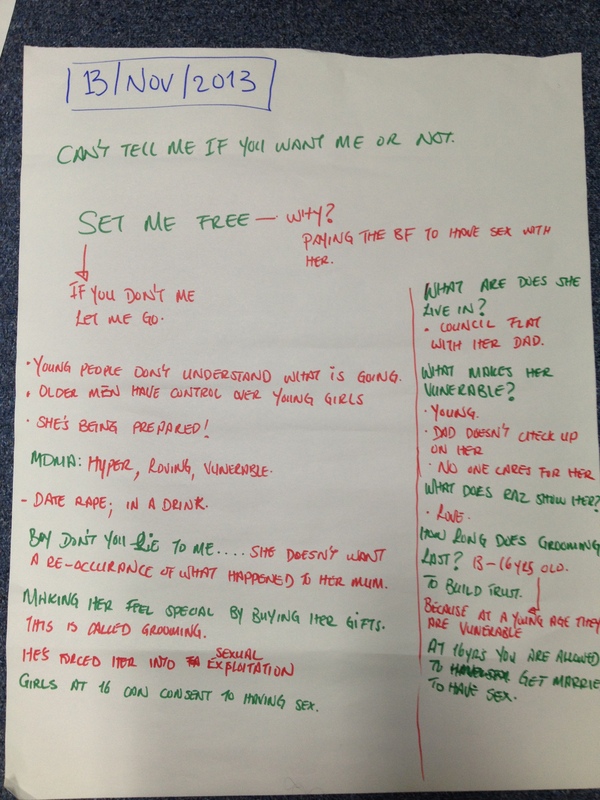 A few words like FREEDOM, CONSENT, VULNERABLE, GROOMING, PERSUADE came up in our discussion and Claire broke it down for us, so we understood what they meant and at what point in the video this was happening. We really got into the discussion and spoke about situations which we think relate to what we watched. 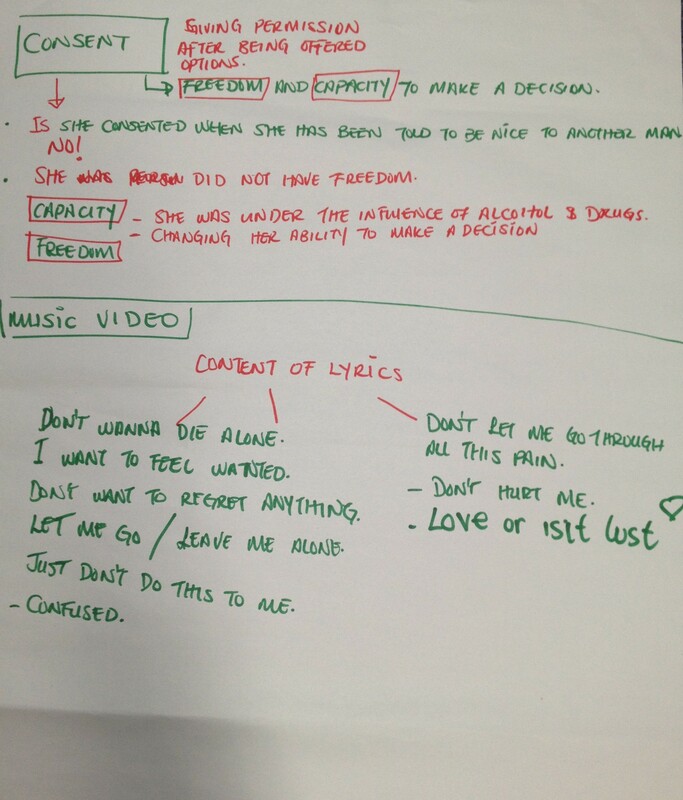 We were asked to each say a line each for our song, from what we’ve learnt from the video and the few session we have done. This was long, we didn’t really want to do it, but once someone mentioned something we all added a bit. It was hard to think of a line. Stevie said she’s not going to do the video, Abby let her know she will be working on camera but would need to say what she thinks we can add.